The prerequisites for a master s in industrial/organizational psychology vary by program, but most universities will expect degree candidates to have a bachelor’s degree in any academic field of psychology. Some programs will accept a bachelor’s degree related to business, leadership or human resources. The American Psychological Association (APA) states that industrial/organizational psychologists primarily use scientific methods and quantitative research tools, so degree candidates should consider studying these classes. Master’s in industrial/organizational psychology programs explore the individual behaviors of employees and collective behaviors of organizations to understand how to improve things like performance and productivity. Industrial/organizational psychology programs teach students how to use research methods and measurement models to solve specific workplace issues of individual organizations. These programs teach students how to apply various principles of psychology to the business fields of leadership and human resources. These degrees are usually designed for the practitioner-researcher who needs practical skills, research techniques and consulting know-how. Students will learn how to recruit, select and retain the best employees. They will know how to identify training and development needs. They will be able to create and manage employee and leadership development programs. These psychologists will be prepared to address current issues, such as diversity and discrimination, and mitigate them through employee opinion surveys and workplace improvement programs. Ideally, students will take classes in scientific research and investigation, so they understand survey and experiment techniques. This will introduce them to advanced concepts related to quantitative correlations, qualitative variables and interpretive methods. It’s important to understand when each method is best used and the strengths and weaknesses of each method. Studying applied statistics will teach students how to build and implement statistical models for real-world psychology problems. 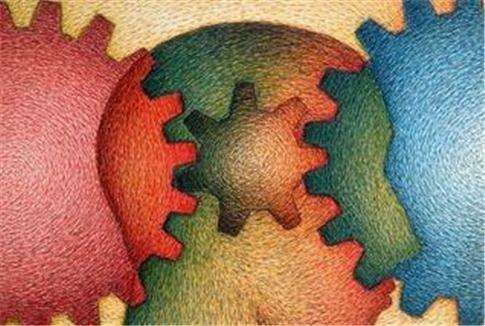 A class on psychology assessments will focus on the standard and alternative uses of psychometric tests and techniques. Social psychology classes will study how people’s thoughts and actions are affected by others. This will help students to understand the psychological foundations of prejudice, conformity, happiness and frustration. A class on human factors in Information Technology will introduce concepts related to ergonomics, task analysis, cognitive psychology, accessibility standards and Human-Computer Interaction (HCI). In order to get a head start for a future master’s in industrial/organizational psychology, undergraduate psychology students can study applied industrial psychology. This will help them understand and predict human behavior within organizations through key tools like job analysis, competency modeling, recruitment selection and performance management. Applied organizational psychology will examine how human cognition, attitudes, and behavior is affected by the decisions of leaders, coworker behaviors, standard policies and company subculture. The prerequisites for a master s in Industrial/Organizational Psychology may also include classes on organizational leadership, adult education, project management and human resources management.